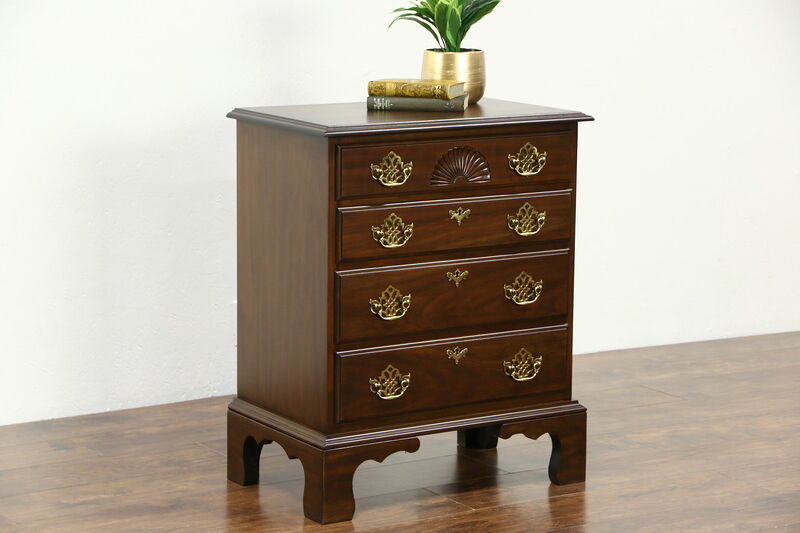 Signed by famous maker, "Harden," about 25 years ago, a solid cherry linen chest or dresser has original heavy brass pulls. The finish on the top has been renewed, the rest of the original finish is very well preserved. Traditional shell carving is authentic. Drawers have solid cherry dovetailed sides on this superior quality American made vintage furniture. Measurements are 26" wide, 17" deep and 31 1/2" tall.